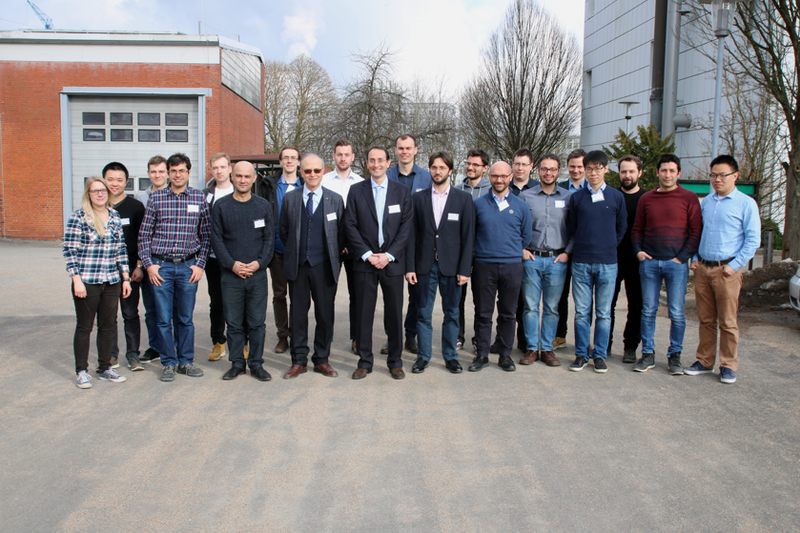 The international three-day Industrial/ Ph.D. course in “the Smart Transformer, its Impact on the Electric Grid and Technology Challenges” took place between 13th and 15th of February, 2019 at the Chair of Power Electronics of Kiel University. This course was offered as a part of running project ,“the Highly Efficient And Reliable smart Transformer (HEART), a new heart for the Electric Distribution System”, funded by European Research Council (ERC) Consolidator Grant. The Smart Transformer (ST), a power electronics-based transformer, can provide ancillary services to the distribution grids to support the grid management, in addition to the voltage adaptation. The Smart Transformer is a natural connection point for hybrid (AC and DC) grids both at MV and LV levels and is supposed to reach a market of US$204.3 million by 2020. The Smart Transformer possible services to the electric grid plus the power electronics technologies which could enable these services were the main focus of this course. The course contained lectures and laboratory experiments .The instructors were Prof. M. Liserre from Kiel University; Prof. C. Vournas from university of Athens, and Prof. G. Buticchi form University of Nottingham, Ningbo Campus. Our research is focused on the design of high efficient and reliable PWM-based power converter architectures (single-cell, multi-cell, multilevel), their modelling and control to exploit commercial as well as new power semiconductor devices with minimum over design. We develop controllers for electric drives and we are particularly skilled in the integration of renewable energy systems into the electric grid. Please discover our expertise looking to our recent projects.